Pretty good range of real ale, not cheap and did the classic heavy penalty for ordering a half pint. Clean and friendly. I didn't notice any issues with the drinks i had, but might not have been in long enough. It is very expensive. Also, I've never had a decent pint of ale there. They normally have an interesting selection but it is poorly kept and this issue predates the current management so perhaps there is a problem with the cellar. Shame because in terms of decor etc its not a bad pub. Nicely done out with good beer although the focus seems to be more on the food now. Very very very expensive too. 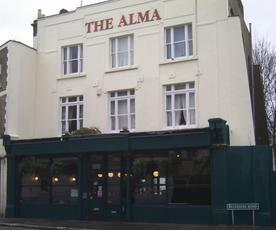 Under new management with a serious focus on food and three real ales (minimum) last time I was there.